Our team are ready to help you today! At Fastlane Autocare, we have been involved with static caravan repairs for well over 20 years. Our team have dealt with all sorts of electrical issues on static caravans from connecting your caravan up to a site, 16AMP plug installation, RCD issues to adding extra sockets, and problem-solving, We have the solution to your static caravan electrical repair needs in the North West. Park operators and holiday home owners alike will benefit from our varied electrical solutions and services. We provide you with 7 days a week call out services to get your holiday back on track. Our electrical engineers are not only highly experienced but also time served and extremely knowledgeable on caravan electrical issues. If you Let your holiday home out to people, either privately or through your holiday park, this is often requested by the parks themselves. After the testing is completed, all items will be listed and marked with either a pass or fail label. At Fastlane Autocare, we can carry out every aspect of commercial and industrial installations. From design through to installation, commissioning as well as testing and repairs and updating of existing installations. Our fully qualified electricians can cater for your every need for any type of installation you may need in your static caravan. We have been offering electrical repairs for well over 20 years so rest assured you are in very safe hands. We can carry out electrical installations for new developments including new power supplies, new distributions units and complete new installations. 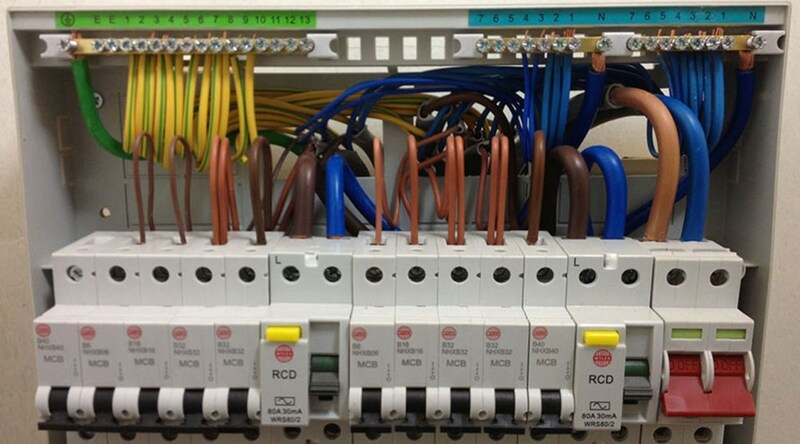 Our fully qualified electricians can also upgrade, update and carry out any repairs to existing installations to ensure they comply with current regulations. Such as new sockets, Wiring and RCD upgrades. We also deal with power showers and heating systems as well as electric fires and lighting. We can help with any 13AMP or 16AMP static home electrical repairs. Fastlane Autocare is able to carry out the installation of extra power points and lighting in all static caravans and holiday homes. We are also able to add extra sockets to any room. Additional external lighting is a holiday home owners favourite along with the addition of outside socket to make the use of your holiday home as enjoyable as possible. Under cupboard lighting and plinth and kickboard lighting has been in popular demand to give your static caravan or holiday home that luxurious look and wow factor. We Cover Manchester, Bosley, Altrincham, Southport, Liverpool, Wirral, Chester, Cheshire, Deeside, Leek, Lancaster, Blackpool, Fleetwood, Formby, Scarisbrick, Lytham, Cleavleys, Heysham, Winsford, Frodsham, Northwich, West Kirby as well as every other area in the North West.